A cultivation story about how a declining sect is restored by a narcissist, a troublemaker, a meanie, an idiot and a wimpy kid. Poor Cheng Qian was accidentally apprenticed to a so-called Zhenren, and was taken back to Fuyao Sect – a declining sect that occupied a whole mountain. There, he met his martial brothers and sister, and began his path of cultivation. His future seemed promising. Schedule: 1x release per week every Thursday. I am totaly in love with this novel The story and characters are good beyond words. Although the pace is quite slow, it&apos;s still fullfiling... or so should I say but I just CANN&apos;T WAIT for the new updates. Hai translator, sorry to bother you. Sure, I will put credit (your link website) at my translation. You can translate this novel into Indonesian as long as you don’t make a profit out of it. And remember also to credit the original author! May I know why there&apos;s no link for Chapter 2 to Chapter 8? If you click into the link of Chapter 1, I think you will see the rest. Have fun. Yes, it is. And more precisely, it’s shounenai(contains only hugs and kisses). But the translated chapters haven’t reach the bl part yet. 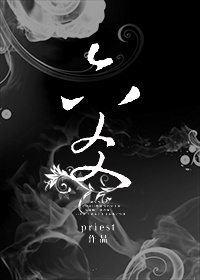 thank you for bringing us one of Priest novels. Jesus! Thanks for your correction.